CultureShock! Taiwan is full of helpful advice on what to expect when you settle into the country and how to enjoy your stay in the country. This book shares insights into understanding Taiwanese traditions and values as well as the lifestyles of the Taiwanese and how to relate to them as friends and in business. Learn more about the main motivations and attitudes that shape the culture of the people and what you should do in order to build more lasting relationships with them. Also included is useful information on finding a home, understanding the language, handling tricky business negotiations and exploring the delicious (and sometimes shocking) Taiwanese cuisine. This is the guide for individuals who want more than the treasures of the National Palace Museum, the beaches of Kending and the well-beaten trails of Alishan. Whether you aim to rough it on mountain peaks, observe age-old rituals in tucked-away temples or wallow in five-star comfort, Bradt’s Taiwan will lead you on an unforgettable journey through Asia’s newest destination: Comprehensive coverage of major business destinations: Taipei, Taichung, Kaohsiung and Hsinchu. Taiwan's notoriously shy wildlife – where to see the island's 20-plus endemic bird species, the Formosan black bear, Reeves's muntjac deer and more than 400 species of butterfly. Hiking and biking in Taiwan's world-class mountains – including the low-down on what permits and equipment are needed before you go. From the treasures of Taipei's National Palace Museum to the stunning marble cliffs of Taroko Gorge, from bamboo forests to hot spring retreats, it's all covered in the Insight Guide to Taiwan. This brand new edition Insight Guide to Taiwan features a wealth of inspiring full-colour photography, including outstanding double page spreads of Taiwan's superb scenery. Expert local writers ensure this guide is an inspiring background read, serves as an invaluable, on-the-spot companion and is a superb, visual souvenir of a visit. The top attractions are identified to help you plan your trip priorities and a 'Best of' section highlights the most unique experiences Taiwan has to offer, along with personal recommendations on what to see and do whilst there. An in-depth 'Places' section covers the entire country, region by region, with all the principal sites cross-referenced by number to the accompanying full-colour maps. Additional maps inside the front and back covers enable instant orientation and easy navigation around Taiwan. Colour-coded sections explore Taiwan's history and include interesting features on everything from Culture, Religion and Art to the people who live there. A comprehensive Travel Tips section details transport, accommodation for all budgets, eating out, activities, and an A-Z of other practical information, including useful contact numbers, to ensure your trip goes smoothly. The unique combination of insightful exploration alongside practical advice means that this guide truly is a pleasure to read before, during and after your visit. Der komplette Führer durch die städtischen Zentren und die subtropische Natur der Hauptinsel sowie der vorgelagerten Inseln. Ausführliche Hintergründe zu Geschichte, Land und Kultur. Alle Hotels und Sehenswürdigkeiten in chinesischer Schrift zum Draufzeigen. Erläuterungen zur besonderen politischen Situation Taiwans und Tipps für Geschäftsreisende. Routenempfehlungen, eine ausführliche Darstellung des Transportsystems und über 70 Karten und Pläne ermöglichen die individuelle Reisegestaltung. Comprehensive maps and full-colour highlights section The only guide to Taiwan with Chinese script for navigation on the ground. Get the local lowdown from a Taiwanese rapper and a Taiwanese film critic. 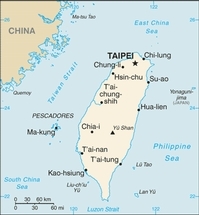 Full coverage of accommodation in Taiwan. Lonely Planet will get you to the heart of Taiwan, with amazing travel experiences and the best planning advice: inspirational images, city walks and recommendations from our expert authors; planning features and top itineraries to help you plan the perfect trip; local secrets and hidden travel gems that will make your trip unique, plus Taiwan outdoors, food and drink guide, the temples of Taiwan and landscapes and wildlife. 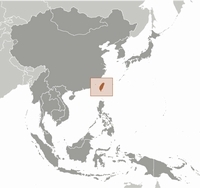 The Rough guide to Taiwan is your definitive guide to this fascinating island. From the vibrant, frenetic streets of Taipei and teahouses of Taichung to the laid-back, historic Tainan, the full-colour section highlights all the 'things-not-to-miss'. Taiwan's enticing markets and vast range of culinary specialities are covered in full with comprehensive reviews of all the top hotels, restaurants, bars and spas to suit every budget. There is in-depth information on all six National Parks and Taiwan's highest mountains, including Taroko Gorge, the country's most popular natural wonder. The guide also looks at Taiwan's history, culture and indigenous peoples and comes complete with maps and plans for the whole island. The Insight City Guide to Taipei combines "Insight's" famous trademarks of insightful writing and striking photography with a strong emphasis on practical information. The Best of Taipei section will help visitors prioritise their trip: from top family attractions to important temples and the best walks, views and architecture - plus money saving tips. A section on Taipei's history covers the city's past in lively authoritative essays written by local specialist authors. The main places section provides a full run-down of all the places worth seeing - which are cross referenced with full-colour maps. Cafes and restaurants are recommended and the best are described and plotted on the free pull-out restaurant guide. Travels tips provide all the information visitors will need and a detailed street atlas and index are featured at the back of the book.